Launch costs for the new E class weighed down results. FRANKFURT (Reuters) -- Daimler's first-quarter operating profit fell 9 percent as launch costs for its new E class and currency headwinds weighed down results, even as sales in China reached a new record. Earnings before interest and tax (EBIT) from ongoing business amounted to 2.68 billion euros ($3.03 billion), from 2.93 billion in the year-earlier period, Daimler said in a statement today. The Mercedes-Benz Cars unit's return on sales reached 7.1 percent, down from 9.2 percent in the year-earlier period. Daimler forecast in early April that profit growth will revive later this year as more customers buy the new E class sedan, the luxury division’s most important model. 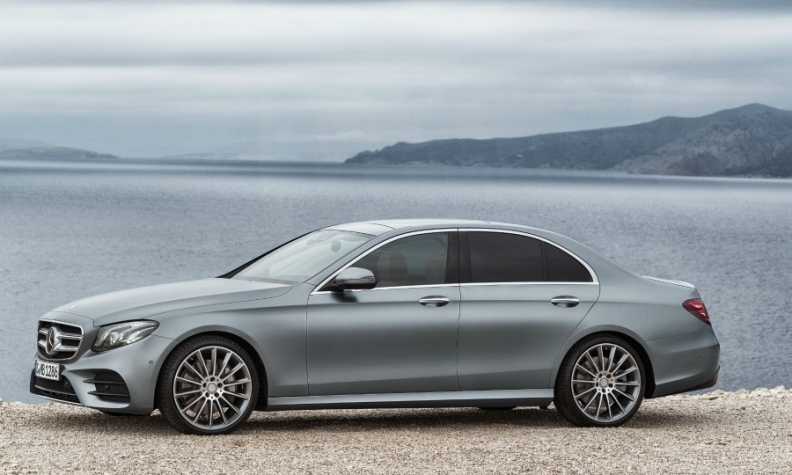 The latest-generation E class came out in March. Earnings at the truck division, which builds Mercedes and Freightliner commercial vehicles, rose 9.3 percent to 516 million euros, and profitability widened to 6.3 percent of revenue from 5.6 percent. The pace of growth in operating earnings will rise slightly this year, following a 37 percent surge to a record 13.8 billion euros in 2015, Daimler said today.